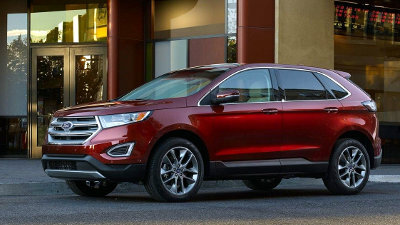 Ford Edge owners want quality replacement parts and maintenance parts for their Edge. We make it easy to shop for your replacement Edge parts by either navigating our website or by calling us at 585-475-1064 for service. Since we aim for customer satisfaction, we do not offer cheap aftermarket copies. Whether you are looking for parts for your Ford Ranger or F-150, we only carry the genuine OEM part. Alternators – Sometimes, alternators fail, and you might find yourself facing multiple battery, heat, and air conditioning problems. We have replacement alternators, batteries and other electrical parts. Remote Start - With a remote starter, you can have the luxury of starting your vehicle from a distance of 300 ft. Not only do these starters make your comfort level higher, it will enhance the quality and resale value of your Edge. Backup Sensor – Your safety is enhanced by the backup sensors, so keep them properly maintained by replacing worn out sensors. From sensors to harnesses to replacement ECMs, we have everything you need to keep your backup sensor safety system working. At FordPartsOnSale.com, we ensure customer satisfaction with quality products. We do not try to "make up for" our low prices with inflated shipping costs, and our service is unmatched. If you have any questions, please call 585-475-1064. All staff who answer the phones at FordPartsOnSale.com have extensive experience with Ford parts, ensuring customer satisfaction.